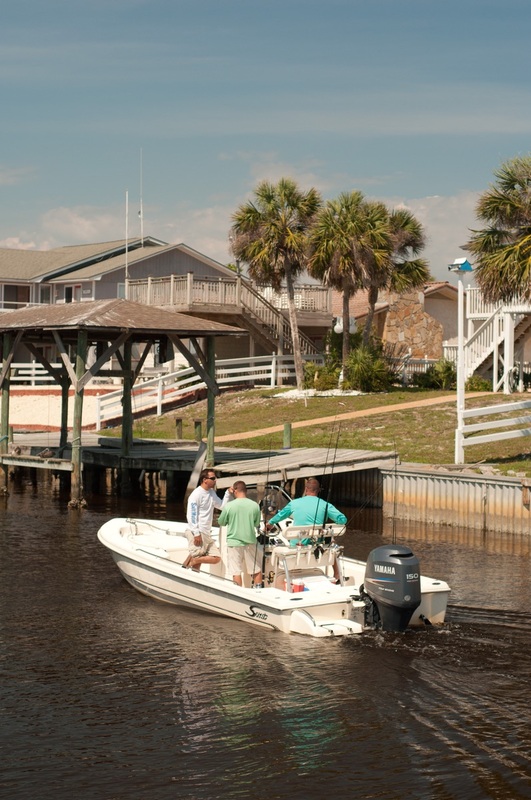 Cast your line at the 20th Annual Kingfish Tournament! Cast your line for charity! The Annual Mexico Beach Artificial Reef Association (MBARA) Kingfish Tournament is celebrating its 20th year this August, and it’s sure to be an event you will not want to miss. This charitable tournament raises funds to build artificial reefs, improving the marine habitat and fishery for everyone to enjoy! Mexico Beach celebrates its breathtaking ecotourism, and the Kingfish Tournament helps continue this tradition of exceptional fishing. “We have been blessed to raise approximately $4 million for reef building, and we have made amazing changes in the landscape with over 200 artificial reefs which now makes the fishing here the best in Florida, if not the Southeastern US,” says Ron Childs, director of the Kingfish Tournament. With a new Miss Kingfish, new sponsors, new T-shirts, and more prizes, the 20th year of this tournament is sure to be the best yet! The tournament kicks off with the Captain’s Party on Friday, August 26 from 5:00 pm to 9:00 pm (Central Time) at Beacon Hill Park. Door prizes and T-shirts will be given out, and food and drinks will be served until 7:00 pm! If you have yet to register, you can do so online at MBARA.org or at the Mexico Beach Marina, Bluewater Outriggers, Half Hitch Tackle, or upon arrival at the Captain’s Party! With the event in its 20th year, it is no surprise the tournament sees an average of 140 boats every year! While the prizes are surely enticing, the success is attributed to the quality of the event. “We see people who have been coming for 20 years, and now their children and grandchildren are coming. We are one big family,” Childs says of the camaraderie of the Kingfish Tournament. Bob Cox, President of the MBARA, agrees with the sentiment saying, “It’s a great event where good friends meet, tell fish stories, and have a great time.” The event is a great community celebration, and many of the sponsors are local merchants. Fishing opens bright and early at 5:00 am CT on Saturday morning, August 27, running throughout the day until 5:00 pm, with weigh-in from 1:00 pm to 5:00 pm at the Mexico Beach Marina. Registration for a day out on the water fishing with friends and family costs $175 per boat and with two divisions, recreational and professional/masters. The competition will be fun for all involved. Anglers in the recreational division can compete for prizes in King Mackerel, Wahoo and Spanish Mackerel, winning up to $3,000. The professional/master angler who catches the heaviest King Mackerel will receive 50% of all masters division entry fees up to $3,000. Sally Childs, a veteran of 19 Kingfish Tournaments, will be the Weigh Master for the event, which will be using Official Tournament Approved Scales measuring in increments of 1/100th of a pound! The post-tournament celebration commences with a dance at 8:00 pm featuring a rock and roll band at Toucan’s on the beach. The weekend will be one of your most memorable in Mexico Beach! Whether you want to compete or just enjoy the festivities out on a boat or the beach, come down to Mexico Beach for the 20th Annual MBARA Kingfish Tournament to catch this great tradition! For more information, or to register, go to www.mbara.org/tournament-registration.cfm today and support the Mexico Beach Artificial Reef Association!